The Air Force’s proposed budget for fiscal 2019 will allow it to increase the number of new pilots it trains from 1,200 each year to 1,400, Air Force Secretary Heather Wilson said Tuesday. But the Air Force remains about 2,000 pilots short, and needs to continue working on retaining experienced pilots, Wilson said in a gaggle with reporters at the Pentagon. That means the shortfall remains about where it was last November, when Wilson and Air Force Chief of Staff Gen. Dave Goldfein delivered stark warnings about the pressures the service was under, especially in the pilot ranks. Finding people who want to become pilots isn’t the problem, Wilson said Tuesday. The challenge lies with retaining them, especially once they’ve accumulated more than 1,500 flight hours and become attractive recruiting targets for commercial airliners. 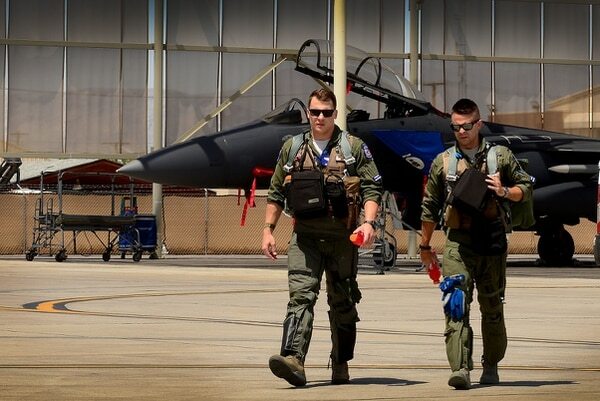 The nationwide pilot shortage has created a retention crisis for the Air Force. 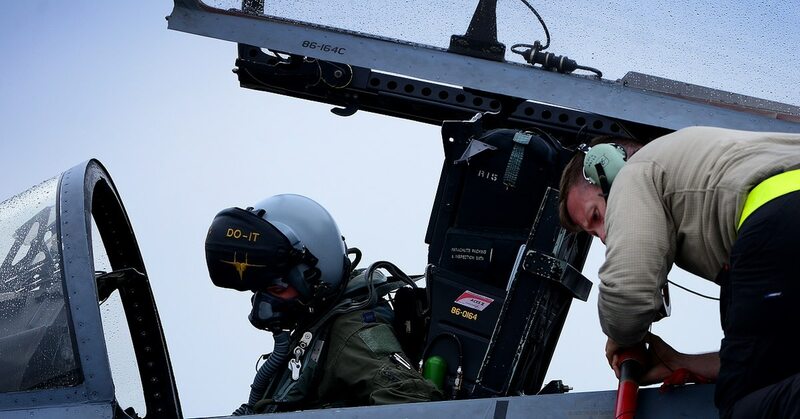 Last September, Air Education and Training Command head Lt. Gen. Darryl Roberson said that the Air Force hoped to increase the pilot training pipeline to 1,400 within a few years. But, he warned, even maxing out pilot production capacity at 1,400 wouldn’t be enough, and the Air Force needed to train 1,600 new pilots annually. Vice Chief of Staff Gen. Stephen “Seve” Wilson also said at Tuesday’s briefing that the Air Force is trying to improve pilots’ work-life balance and reduce unnecessary regulations and bureaucracy that keep pilots out of the cockpit. Those kind of actions could improve pilot retention without costing the Air Force much money, he said. The budget also will continue funding expanded bonus programs for pilots that are already in place, Secretary Wilson said. The Air Force this year authorized a direct commissioning program for cyber professionals, Secretary Wilson said. This could allow someone with a degree to come in as a 1st lieutenant and become a captain after one year, she said. Gen. Wilson said the Air Force is experimenting with partnering with universities to bring in students who have already gone through their aviation programs. Those students would then go through an abbreviated Air Force pilot training program in the T-1, potentially cutting the timeline in half, he said. The Air Force is also experimenting with new technologies such as virtual reality to shorten the year-long basic pilot training program, Gen. Wilson said. Secretary Wilson also said the Air Force ― which seeks to add 4,700 new airmen across the total force in 2019 ― plans to increase recruiting of its cyber, nuclear, maintenance and logistics airmen. And the Air Force has now cut its maintenance shortfall, which at one point was at 4,000 airmen, down to 200, she said. But the tricky part now is getting the new maintainers enough experience to advance them from the 3-level to the 5- or 7-skill level necessary to conduct more advanced repairs to planes, Secretary Wilson said.